I know, I know, it’s all babies and blankets over here lately. Hopefully you’ll indulge me for just one more post, then I promise to finish up a quilt, or something less baby-related! Anyway, after writing the other day about how I really wanted one of those voile/flannel blankets in my size, it was all I could think about for the remainder of the day. I didn’t actually make one yet (still planning on it though! ), but I did make up a baby version of what I was thinking of. In order to make it adult size, I’ll have to go for a patchwork look for the front, and a pieced flannel backing. I figure a good way to see if I like that idea is to make a baby version… and yes indeed, I like it. I certainly do! It’s so bright and cheerful! 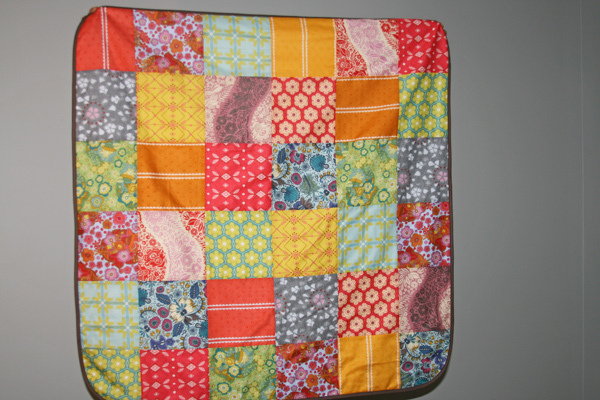 I used 6 1/2″ squares of some of my favorite voiles and sewed them into a large square, measuring about 36″. It’s paired with a bright white Robert Kaufman flannel and the binding is the dark brown voile (cut on the bias in 2.25″ strips). And now it’s a toss up as to which is my new favorite! This entry was posted in baby, Fabric, Household Goods and tagged anna maria horner, baby blanket, blanket, handmade, little folks voile, robert kaufman flannel. Bookmark the permalink. 25 Responses to one more blanket, ok? My now 2 year old uses the swaddling blankets that I made for him during his naps at daycare. My seven year old still sleeps with his swaddling blanket I made for him when he was three weeks old. If you haven’t already, you might want to have a look at the book “The Happiest Baby on the Block”. Its all about swaddling but he uses pretty large blankets. We used it with our youngest and it was fabulous! What a gorgeous way to show off these luscious voile fabrics! I bet this is super soft. 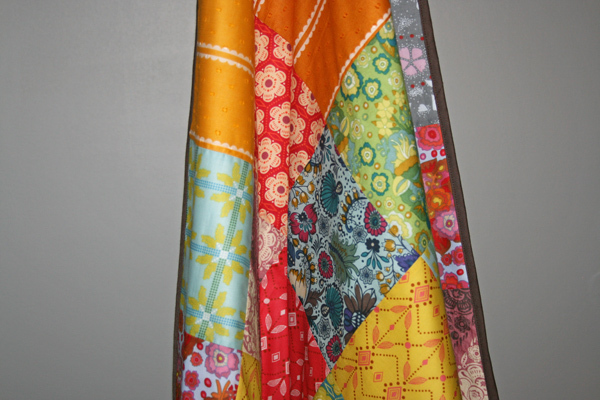 I would love to have an adult size quilt like this, so now I’m inspired to use my voile stash. Looks very snuggly! love these colors! and one can NEVER have enough swaddling blankets. You master of the blankets! I fully understand that you are coming over all baby accesories. They really do look gorgeous and why not make one in an adult size !! That will be one cozy and very lucky babe! congratulations! do you use any batting in these blankets? I agree with the others about never too many swaddling blankets, and I am a great fan of swaddling babies. I did it to all 7 of mine. I think the new little ones feel so much more secure when they’re swaddled. I don’t think enough mommas are swaddling nowadays, but, then, I don’t think babies are held enough now, either. Too many babiers are put in those little “baby seat” rocker things and never get enough human touch. Okay, I’ll jump down off of my soapbox now! Sorry about that, but I’m passionate about little ones getting held and loved. Yes, you absolutely may make as many baby blanket posts as your heart desires! I agree with everyone–swaddling works wonderfully, so plenty of gorgeous swaddling blankets are a must. My son *had* to be swaddled every night his first six months (that got me extra sleep, too!). oooh…i love this so much! oh, and if you don’t want to piece the flannel, use a flannel flat sheet! i’ve been backing my quilts with those lately. sooo cozy. my fav is from garnet hill. they have pretty colors, and it holds up really well. Oh my gosh its like you’re in my head! I have been dreaming of using AMH’s little folks for a very similar quilt. 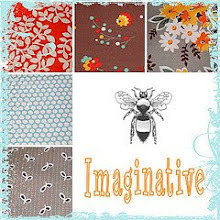 I think you use her fabrics in the best way because they are so intricate, I would rather see them displayed with big square blocks and strips. It is perfect! Just so you know, I have been able to find some extra wide flannel that would work well for the back if you wanted it to be one piece, or maybe two with a stripe of some AMH in the middle. I was wondering how it would look in a patchwork design as well. I’m just waiting on my order of voile and then I’ll be whipping some up too. Yours look gorgeous! 36″ would be plenty for new borns but I found that 40″ square was good for slightly older babies. Enough room to really tuck them in tight. An adult version would be so lovely too. 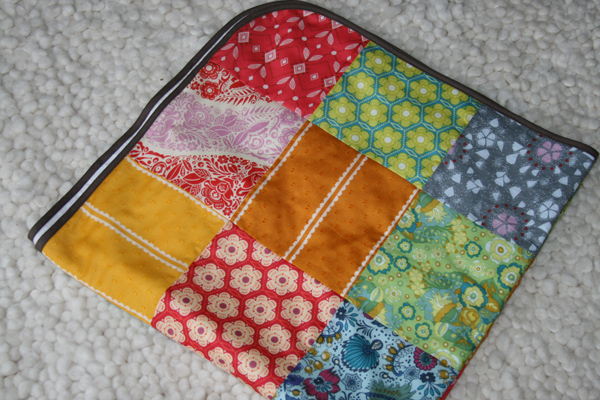 If you were backing it in flannel and wanted to quilt it I would use Quiltlite for the batting. That would make it so soft and drapey, but give it just a little more substance. Loving all the baby posts! I love all the baby posts! It’s such an exciting and wonderful time, waiting for baby. This is simply a beautiful blanket, and like the above posters, you can never have too many. I made tons out of a single yard of flannel that I cut into a square and simply hemmed the edges. They have soooo many uses – swaddling, spreading out on the floor, breastfeeding cover, carseat cover, etc. We’re still using ours! Why on Earth would we want you to stop making baby blankets? They’re crazy-cute. I love your round corners – something totally new to me. hi! i love your baby-blankets too! they are so beautiful and the round corners are great! is it hard to make the binding with the round corners? You are too cute. I can’t speak for your other readers, but I’m done having kids and I rely on people like you to let me live vicariously in baby-land. So keep those baby posts coming! 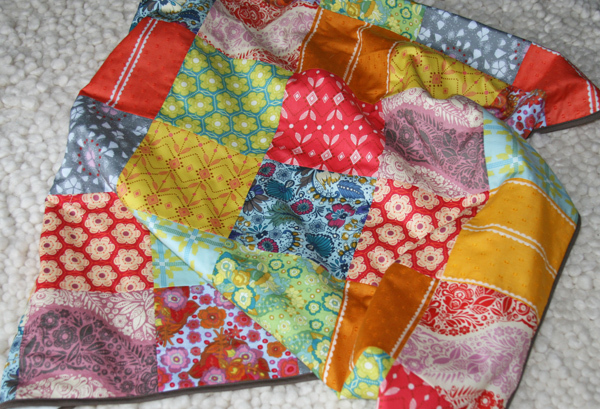 These are such wonderful baby blankets – are you quilting them? Love it! So beautiful! I always love your baby blankets! I adore those rounded corners! Ok so all these blankets are just stunning!! I have got to ask because I am tired of wondering…. what kind of sewing machine do you use? And how do you get all the pretty swirls of thread that hold your backing and all together…. does this require a special machine? You are an inspiration!! 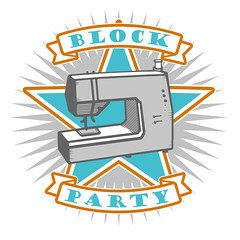 I am working on my very first quilt as we speak!! THANKS! !